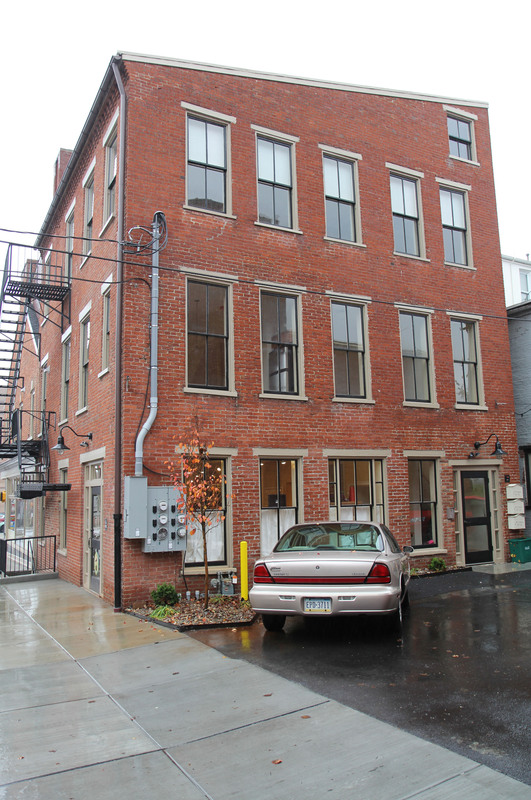 Conversion of this large corner property from a district judicial office to a first floor restaurant and residential apartments above, required extensive changes to the exterior, room layouts, and floor plans. For the street level restaurant we created large expanses of glass, replaced old drop ceilings with a fire-rated ceiling that met codes for the mixed commercial/residential use, and added mounted track lighting that makes the restaurant bright and inviting. 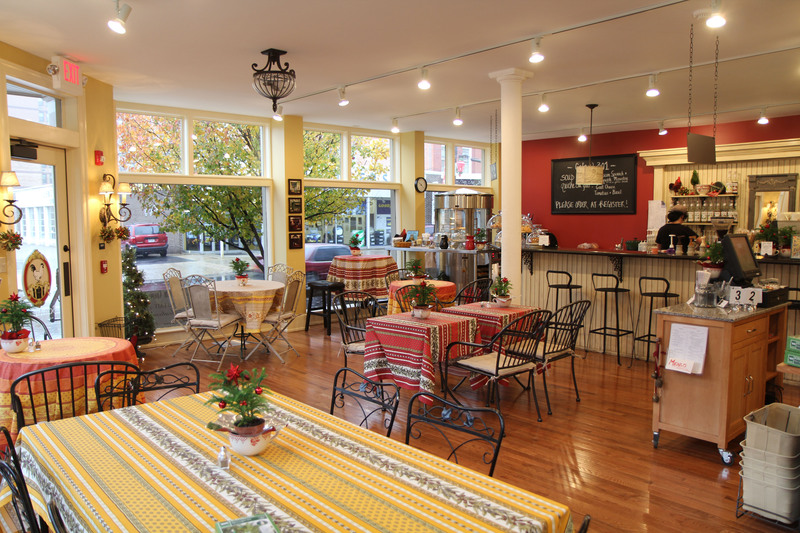 We worked very closely with the contractor to convert the maze of small offices and rooms on the first floor into the large open restaurant space, removing non load-bearing walls and incorporating the exposed cast-iron support columns into the restaurant design. Brilliant reds and yellows reflect the cheerful Provence style décor desired by the restaurant owner, and are complemented by warm wood tones in the floor and the creamy wall color. At street level, the large corner entrance is recessed with wide shallow-depth steps making it easy for customers to enter, even in inclement weather. The large expanse of windows allow pedestrians to see the cheerful interior and people inside. An eye-catching sign hangs at the corner where it is easily seen from up and down the street. All exterior elements, from the sign to the colors and the architectural details, maintain the original historic character of the building, essential to downtown preservation guidelines. We created separate parking spaces exclusively for renters at the entrance to the apartments on the second and third floors. The entrance door is in the same style as the corner entrance to the restaurant. All doors are repaired original doors or recreated new doors done by a local woodworking shop, in the same style as the original doors, to achieve a consistent exterior décor. 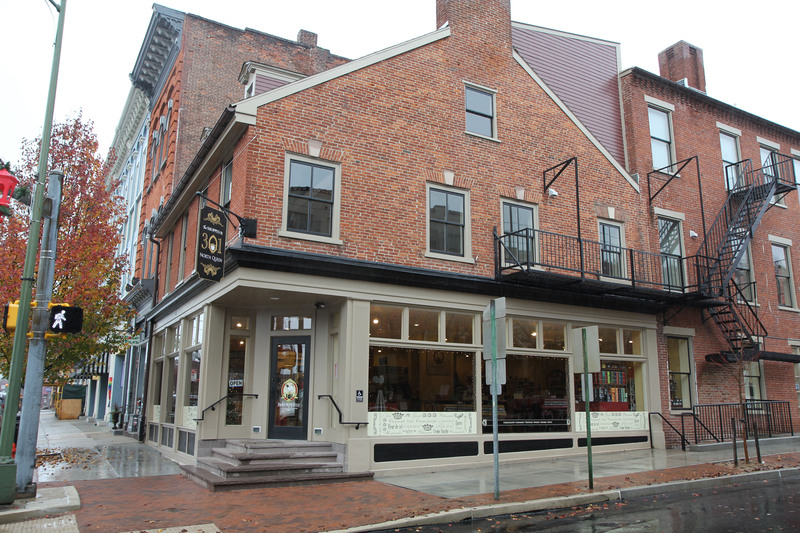 The two-story loft apartment is an excellent example of preservation, restoration, and adaptation in a mixed-use historic building. 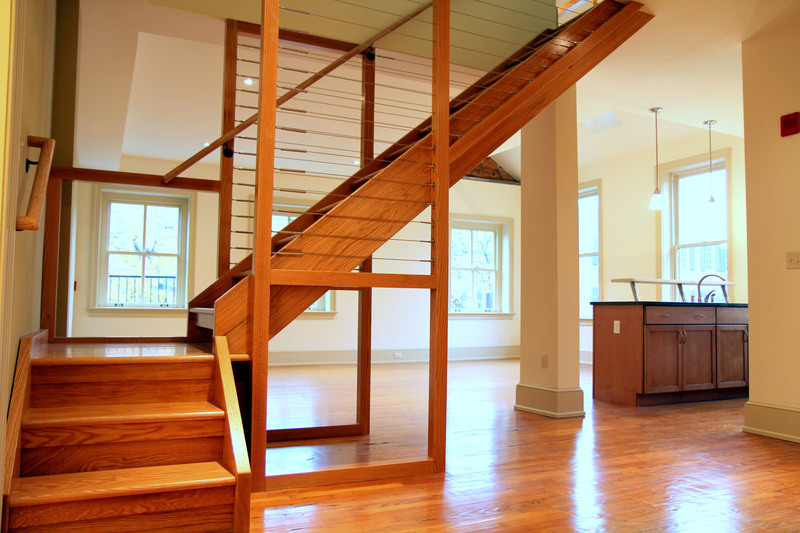 The open wooden staircase is a showcase element on the main floor, mixing practicality with architectural aesthetics within the open floor plan. Large windows allow an abundance of natural light into this center-city apartment. Warm wood tones in the flooring, cabinetry, and staircase balance the neutral colors of the walls, ceiling, and trim, making this an easy apartment to furnish and decorate to individual tastes and styles.